Projecting or project-ing? I guess either one works. Projecting the projects? Yes, that’s what I’m doing. 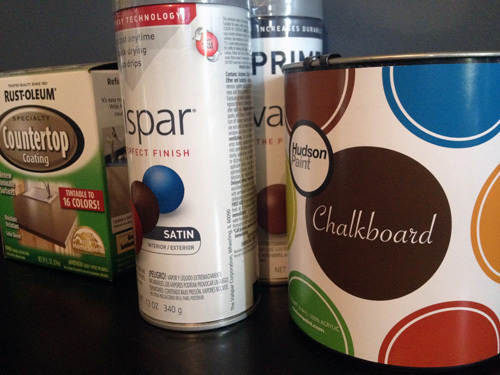 There’s some countertop paint, white spray paint, spray primer and a can of chalkboard paint. Each one is for a different project. 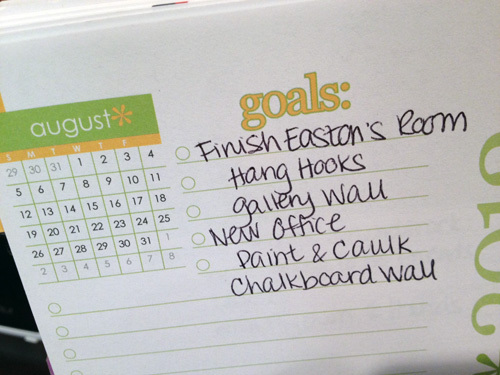 I always keep track of my to-do list and goals in my glorious Erin Condren life planner. None of the items on the to-do list and goals for August got done. Not a single one. So, I naturally transferred them all over to September. That is where all of those random paint supplies come in! This “project” is like a major thorn in my side. It’s so close to being done but I just can’t get there. Ever have those dreams where you’re trying to get somewhere but you never actually make it? Am I the only person with those dreams? Anyway, this is what the nursery feels like. I wanted to have it done by now but I keep hitting road blocks. Spray paint frames? Can clogs and need a new one. One week later get new can? The paint chips as you’re carrying frames into the house from outside. Make print to put in frame? Shutterfly cuts off part of your text. So that explains why the gallery wall still hasn’t been hung since I started it two months ago. The spray paint and spray primer belong to this action item. We plan to hang some hooks in the little area behind the door of Easton’s room, which is a small project, but one we can’t do when he’s asleep. That corner behind the door is the one I’m talking about. The picture is not the most recent, but you get the idea. 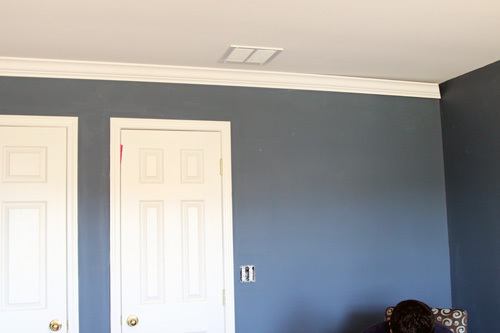 The goals here are to caulk and paint trim and paint a chalkboard wall. 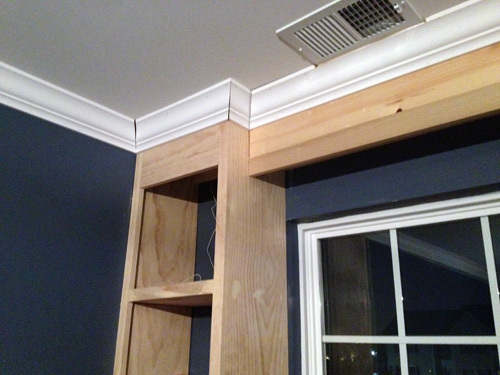 For weeks, the new built-ins have been sporting the raw wood look. It’s one of those things we finished only about a week before I went back and I’ve been itchiiiing to get some paint on these things! But first it needs caulk, which isn’t as fun. I’m hoping to get some time after Easton is asleep this weekend to pretty it up. Okay, so maybe the list only had 2 main items with additional bullets, but I like to think that means it’s manageable. I’m setting realistic goals, even if they have to be pushed back again. Let’s face it, I can barely keep my eyes open long enough to type this (I’ve dozed while sitting up twice now! ), so I think a few small paint projects is enough. It definitely helps to set attainable goals…that way things aren’t so overwhelming. When you can see a light at the end of the tunnel, tackling projects becomes MUCH easier. Can’t wait to see what the countertop paint is for! I found your blog when doing a search on Chevron curtains. I want some for my son’s ‘big boy room’ (he’s 3 and being booted from the nursery by his soon-to-be-arriving baby sister). I didn’t intend to make them myself because I can’t sew, but your instructions seem ‘sew’ (haha) easy, I think I’m going to try and make them myself!! I love your house and have been enjoying looking at your projects.